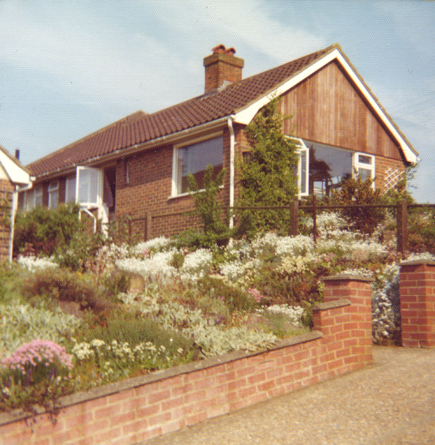 Ivy moved from her flat in Silverdale Road Eastbourne to 8 Mayview Close Broadoak in 1975. Her bungalow is shown above shortly after she moved. 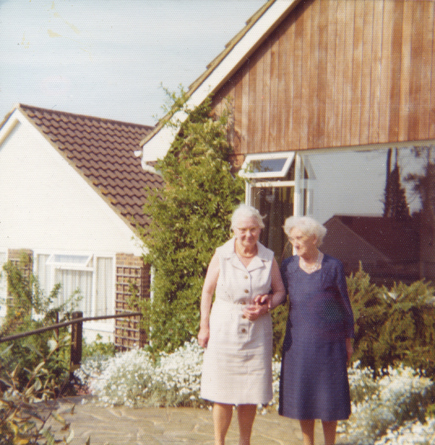 The right hand photo photo shows Ivy (left) with her sister in law Adelaide.